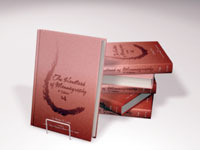 The 5th Edition of the Handbook of Mammmography is now available. Designed for the technical community as a reference and guide for technologists, residents, radiologists and other related professionals….with a complete focus! A concise, reference “handbook” for mammographers. This handbook has been approved for Category A continuing education credit. It is currently the required text for C.A.M.R.T. Mammography Correspondence Courses. An A.C.R. recommended resource for M.A.P. professionals! Abundantly illustrated-the positioning chapter alone contains 243 pictures, illustrations and images. The visual learner will delight with the clarity and understanding that comes with this presentation. This hard-covered “handbook” contains an abundance of illustrations and photographic representations of the mammographic positions outlined. Breast Mapping – a new way of understanding mammography positioning (Click Here For An Example). New Material with the 5th Edition! The 5th Edition of the Handbook of Mammography includes: Digital technology, image processing – archiving and networking principles; Digital quality control, artifacts and problem solving; Breat mapping, body mechanics and patient interactions. Individual cultural beliefs regarding breasts will influence women’s participation in and comfort with mammography. Artifacts – Through thoughtful analysis and diligent practice, problems can be eliminated, or, at the very least, controlled. Film Critique – A critical analysis of clinical images will lead to ongoing improvement with mammography examinations. Image Problem Solving – With a comprehensive quality control program (repeat analysis), it is important to look beyond the basic percentages for trends and indications of problems that need to be addressed to improve the quality of the mammography examinations. Pain with Mammography – An important contributing source of the pain that is associated with mammography results from excessive tension on the patient’s skin. Also, it is important to understand that pain may arise from adjacent musculoskeletal structures, specifically the ribs and the chest wall, rather than from the breast tissue itself. The technologist needs to first acknowledge and then address the pain her patient is experiencing; the patient’s feelings must be validated. Patient Relations – Many patients rely on the mammography technologist to dispel their concerns. Their overall experience and impression of the examination as well as their willingness to return for future mammograms is directly related to the quality of their interaction with the mammography technologist. While most technologists are well prepared for the technical aspects of mammography, few have been trained to deal with the psychological and social challenges that they will encounter. Individual cultural beliefs regarding breasts will influence women’s participation in and comfort with mammography examinations. The patient’s behavior will serve as a signal for her underlying emotional state. Understanding her actions is invaluable in facilitating a successful experience. Positioning Techniques – Manual compression is available on all modern mammography equipment; it can be applied much more gently and gradually and should be used as soon as the patient appears uncomfortable (Click Here For An Example). Preventing Musculoskeletal Discomfort and Injury – Employers do not want to lose their most valuable, experienced technologists to work-related injury – particularly when the contributing factors are avoidable, or at the very least, when options are available to minimize injuries. The good news is that musculoskeletal discomfort and injury can be prevented. Quality Control – While the medical physicist has always been considered a key member of the team, the new A.C.R. and C.A.R. guidelines specify the medical physicist as the individual responsible for the the entire mammography quality control program.